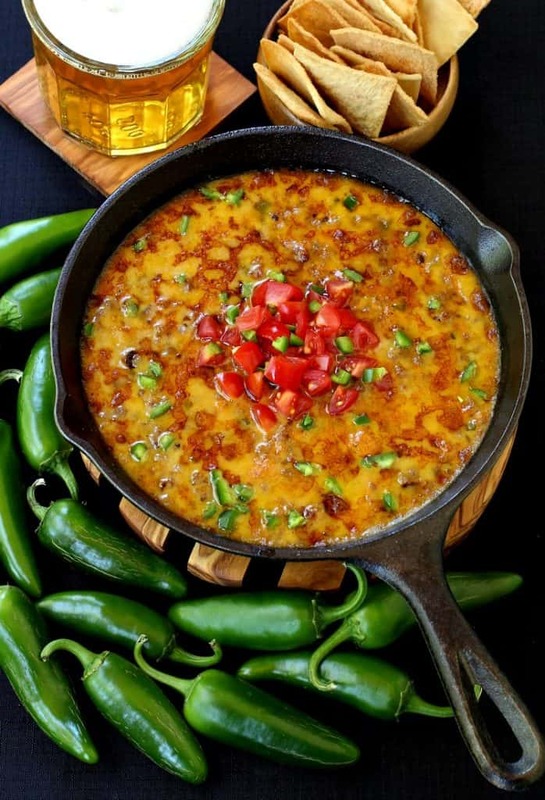 This Skillet Sausage and Beer Queso is an easy appetizer that is completely addicting! Loaded with sausage, jalapeños and beer, all you need are the chips! Sausage, beer, cheese…what more do you need from a meal? Tons and tons of chips and a few cold beers but other than that this skillet is full of everything I love. Queso is the kind of thing you have to put on the table and eat. 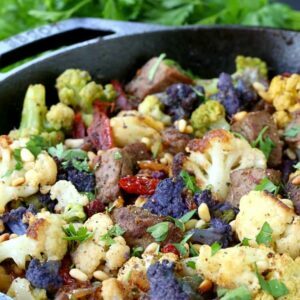 No one likes cold cheese – I’m guessing – so when this piping hot skillet hits the table everyone digs in. And you find that you just keep eating and eating until it’s pretty much gone. It’s not like the kind of food that you have a bite or two of, then move on to something else and come back later on for another dip. 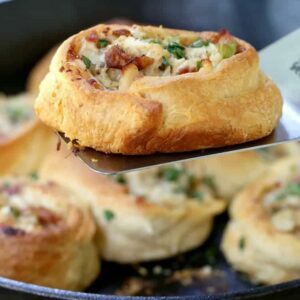 A lot of our favorite recipe started off as appetizers and have moved on to main meals like these Bacon Cheeseburger Quesadillas and this Italian Sub Bruschetta. Then I’m done for the most part. And that’s ok, cheese and sausage for dinner once and a while is going to be ok in my book. 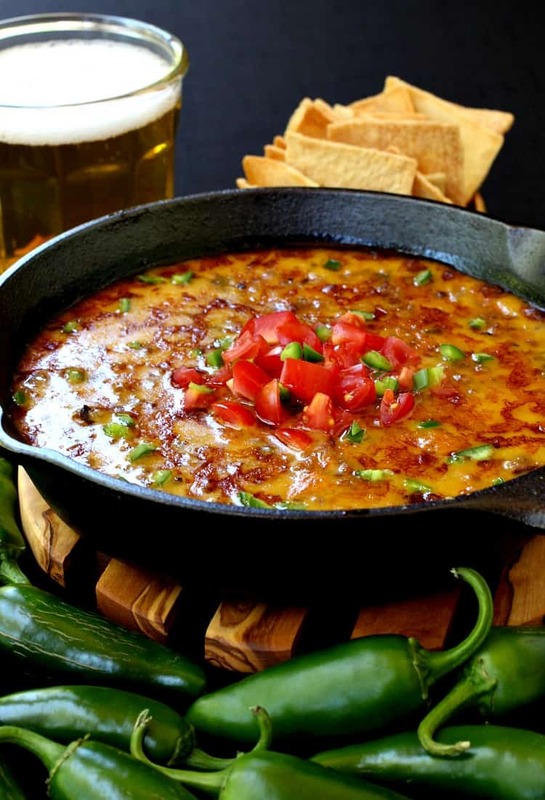 The part I’ve finally learned is that after a totally cheesy, delicious appetizer like this Skillet Sausage and Beer Queso – I don’t need to have “dinner”. Or even serve dinner. The boys and I are totally going to be fine with queso and chips. We’ll get back to the chicken and healthy stuff tomorrow. If you don’t have sausage or you just like using ground beef instead you can definitely do that here too. But the beer is so good in this dip so you really have to try it. Brown the sausage in a cast iron skillet, or any oven proof skillet you have, along with onions and jalapeño peppers. If spicy isn’t going to work for you then swap out green bell peppers for the jalapeños…I’m giving you lots of options here. Next drain off the grease if there is any and remove the sausage filling to a bowl. 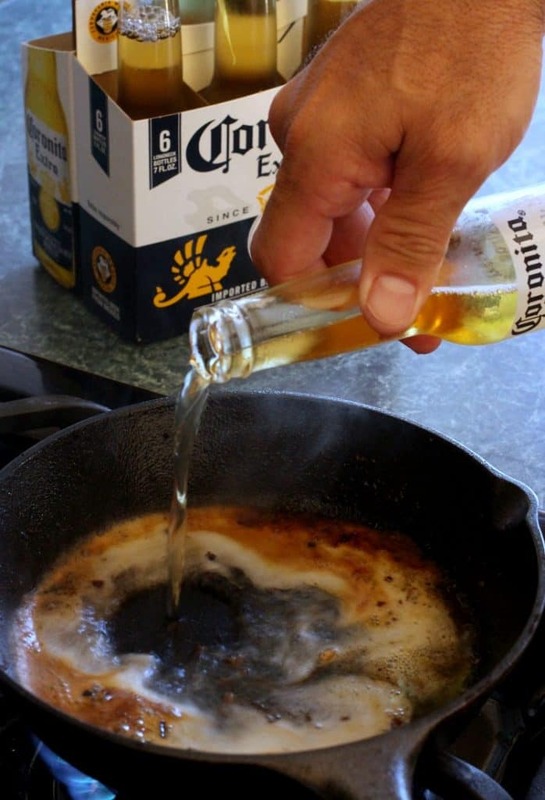 The alcohol cooks off and just leaves the hoppy beer flavor behind. If you really don’t want to use beer though you can swap it out for chicken broth. BUT PLEASE TRY THE BEER. Once the beer cooks down we’re going to be adding lots of cheese. I’m using sharp cheddar for this queso, but you can use pepper jack or a mixture of both. Now stir back in the sausage, peppers and onions and get the skillet in the oven to broil. 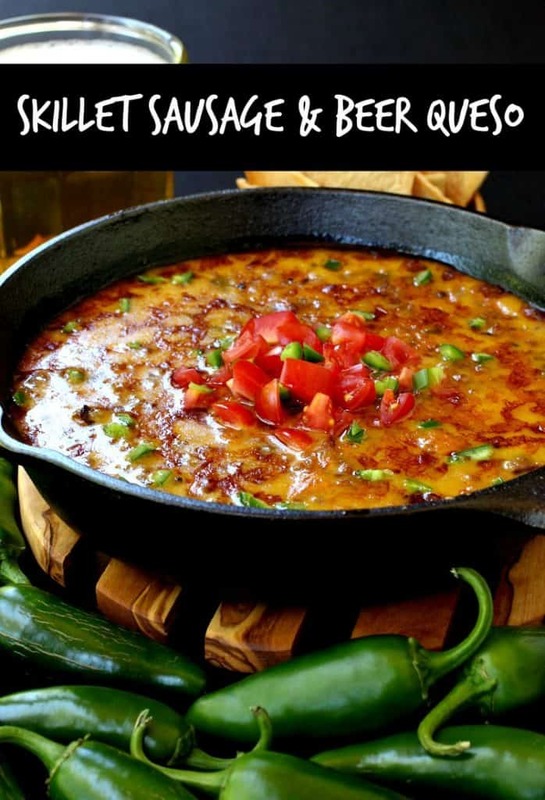 We like to top this queso with chopped tomatoes and a few more diced peppers! Then we start dipping. 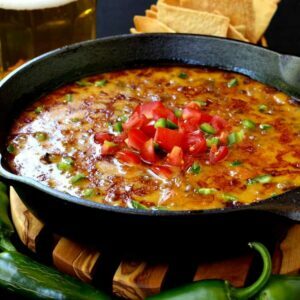 Grab tortilla chips, pita chips, pretzels…anything you like to dip into a big skillet of melty cheese and sausage. Or a spoon – a spoon will work too. 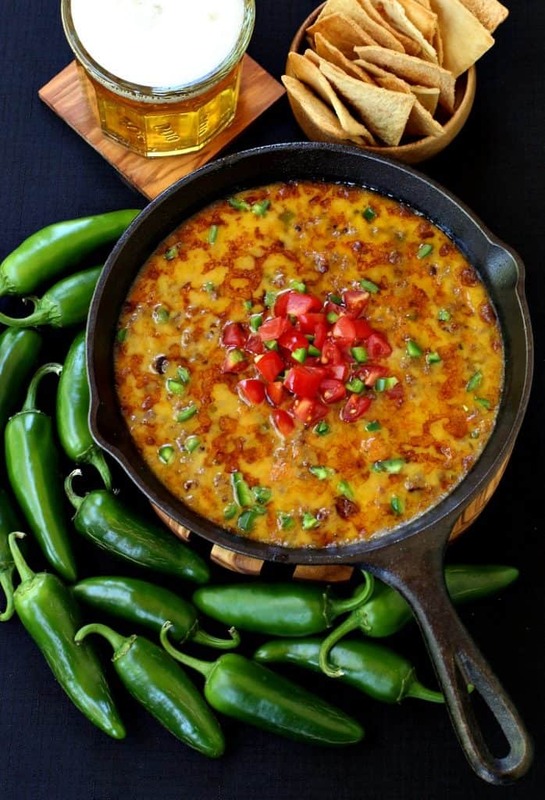 Serve this sausage queso piping hot with tortilla chips, pita chips or pretzels for dipping! 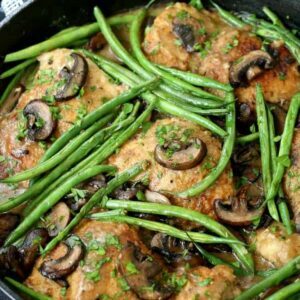 Add the oil to a cast iron or oven proof skillet over medium heat. Add the sausage and brown until no pink remains, drain the grease reserving 2 tablespoons and return back to the skillet. 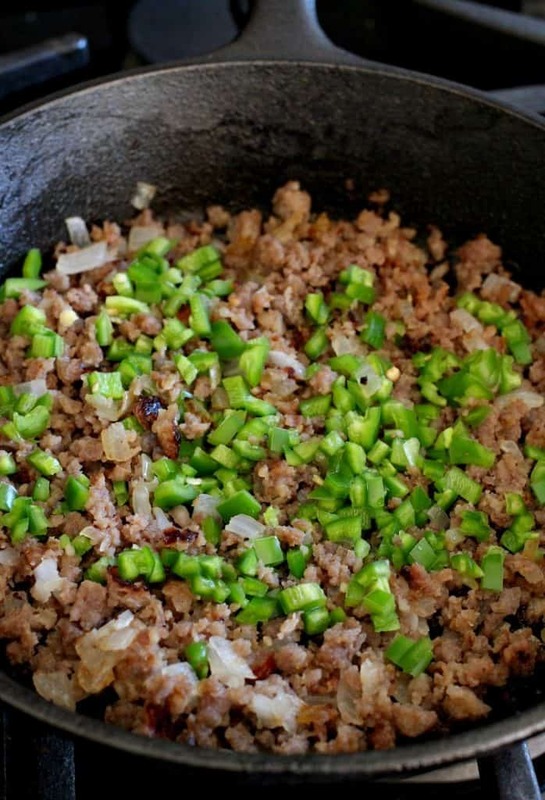 Add the peppers and onions to the skillet with the sausage and stir to combine. Cook for 5 minutes until the vegetables have softened then remove the filling to a bowl. Add the 2 tablespoons of reserved fat from the sausage to the skillet along with 2 tablespoons of flour. Whisk together for a minute then slowly pour in the beer while whisking. Bring the mixture to a boil then turn the heat back down to a simmer for 5 minutes. 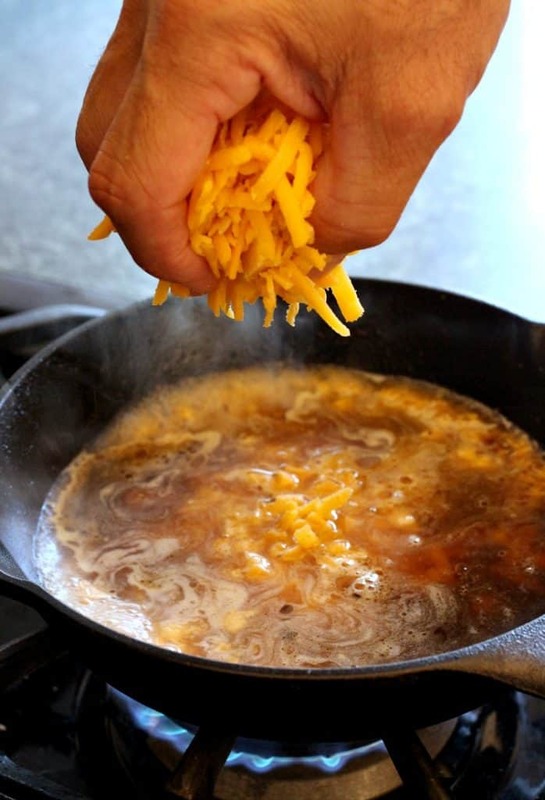 Add the cheese to the skillet, while stirring until smooth. Add the sausage, peppers and onions back to the skillet. Stir to combine then place the skillet under the broiler for 3-4 minutes until the cheese is bubbling and the top is browned. Keep an eye on this so that the cheese doesn’t burn! Garnish with diced tomatoes and more fresh peppers if desired.